Can the spread of nuclear weapons make us safer? Strictly speaking, then, Waltz is as against the proliferation of nuclear weapons as the next sane human being. After all, he argues, ''most countries don't need them.'' But the eventual acquisition of nuclear weapons by those few countries that see fit to pursue them, that he's for. As he sees it, nuclear weapons prevent wars. MESSAGE BOARD: Can the spread of nuclear weapons make us safer? Waltz is not a crank. He is not a member of an apocalyptic death cult. He is perhaps the leading living theorist of the foreign policy realists, a school that sees world politics as an unending, amoral contest between states driven by the will to power. His 1959 book, ''Man, the State, and War,'' remains one of the most influential 20th-century works on international relations. In recent weeks, however, the spread of nuclear weapons has taken on what might appear to be a wildfire-like quality. North Korea has just declared itself a nuclear power. Iran is in negotiations with the United States and Europe over what is widely suspected to be a secret weapons program of its own. Each could kick off a regional arms race. And North Korea in the past has sold nuclear technology to Libya and Pakistan, while Iran sponsors Hezbollah and Hamas. As the Nuclear Nonproliferation Treaty, the backbone of nonproliferation efforts for the past 35 years, comes up for review this May, there's an increasing sense that it is failing. In such a context, Waltz's argument may seem a Panglossian rationalization of the inevitable. Still, although heads of state, legislators, intelligence officials, and opinion columnists are nearly united in their deep concern over the world's nuclearization, the scholars who spend their time thinking about the issue are in fact deeply divided over the consequences of the spread of nuclear weapons, even to so-called ''states of concern'' like Iran and North Korea. Few among Waltz's colleagues share his unwavering confidence in the pacifying power of nuclear weapons. But plenty among them see at least some merit in the picture he paints. In part, the disagreement between Waltz and his critics is over the meaning and value of nuclear deterrence in a post-Cold War world. But it's also an argument over the motives that drive some countries to pursue nuclear weapons and others to want to keep the nuclear genie to themselves. Waltz spells out his theory most thoroughly in the 1995 book ''The Spread of Nuclear Weapons,'' co-written with the Stanford political scientist Scott D. Sagan in the form of an extended debate. Updated and republished two years ago to take into account the nuclearization of India and Pakistan, it contains the same arguments Waltz makes today in interviews. 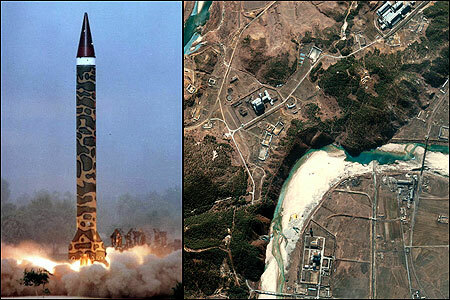 Put simply, a war between nuclear powers cannot be decisively won without the risk of total destruction. Since the risk of escalation in any conflict is so high, nuclear states grow cautious. ''If states can score only small gains because large ones risk retaliation,'' Waltz writes, ''they have little incentive to fight.'' When fighting does break out, it is likely to be a localized proxy conflict like the Korean War instead of, say, a Soviet invasion of Western Europe. Nuclear weapons, he adds, even blunt the urge for territorial expansion, since they contribute far more to a country's security than any geographical buffer could. Even Graham Allison, a dean and professor at Harvard's Kennedy School of Government and one of the country's most visible nonproliferation crusaders, concedes some of Waltz's argument. ''There's something known in the literature as a crystal ball effect,''' Allison says. ''With a nuclear war, probably most of the people living in the capital are going to be killed, including the leader and his family, so it brings it home. You have a positive effect, and you can certainly see that in the India-Pakistan relationship'' since both countries acquired their nuclear arsenals. Yet Allison-whose latest book, the widely noted ''Nuclear Terrorism: The Ultimate Preventable Catastrophe,'' was published last August-dismisses Waltz's larger linkage between proliferation and security as ''perverse, but nonetheless interesting.'' In particular, Allison argues, the time period just after a country goes nuclear-in the case of North Korea, the present moment-is the most dangerous. This is partly because nascent nuclear nations don't have the best command and control systems for their weapons. More troubling is that historically, in every so-called nuclear ''conflict dyad''-US/USSR, USSR/China, India/Pakistan-the first of the two to go nuclear came close to launching a preemptive attack to profit from its nuclear advantage. And the precarious hold on power of the government in a nuclear nation like Pakistan only adds to the volatile mix. Even today's long-established nuclear powers, Allison points out, may owe their continued survival as much to luck as logic. John F. Kennedy himself put the chance of nuclear war during the Cuban Missile Crisis at one in three-odds, Allison notes, that are twice as high as those in Russian Roulette. To share Waltz's faith in the pacifying effects of proliferation, says David Goldfischer of Denver University's Graduate School of International affairs, is to subscribe to a sort of ''nuclear theology.'' (Goldfischer is himself a proponent of what he calls Mutual Defense Emphasis-a proposed treaty regime in which nuclear arsenals would be sharply reduced and mutually acceptable missile defenses installed by opposing nuclear powers.) Waltz, Goldfischer charges, ''is utterly convinced that there's a rational core in every brain similar to his own, which will act somehow at the critical moment, and that no one will be able to reach a leadership position in any society who will make the potentially suicidal decision to launch when a massive retaliation is a certainty.'' And that doesn't begin to account for the possibility of an accidental launch or an attack by an Al Qaeda operative whose effective statelessness and hunger for martyrdom make him undeterrable. John J. Mearsheimer, a political scientist at the University of Chicago and another preeminent realist thinker, describes himself as closer to Waltz than to Allison on the issue. Mearsheimer agrees with Waltz, for example, that nuclear states, no matter how ''rogue,'' are unlikely to give their weapons to terrorists. Whatever its sympathies, Mearsheimer argues, ''Iran is highly unlikely to give nuclear weapons to terrorists, in large part because they would be putting weapons into the hands of people who they ultimately did not control, and there's a reasonably good chance that they would get Iran incinerated'' if the weapon was traced back to the regime in Tehran. The problem of ''loose nukes''-in particular, Russia's inability in the years since the Cold War to keep track of all its nuclear materials-shows that even a country's strong interest in maintaining control of its nuclear weapons is no guarantee that some won't fall into the wrong hands, raising the threat of nuclear terrorism. Nevertheless, thinkers like Waltz and Mearsheimer, with their dogged focus on the calculus of national advantage and interest, raise a question that tends to get lost in much of the news coverage of proliferation: Do nuclear states like the United States oppose proliferation simply out of concern for their citizens' safety, or is there something more strategic at work? Seen this way, the near-term proliferation threat is less to our homeland-neither North Korea or Iran, for example, has the missile technology to deliver a warhead to the continental US-than to our ability to project power and shape world affairs. The United States, in other words, worries as much about being deterred as being attacked. Ultimately, however, no amount of military might allows a country to wish away the Bomb. Whether or not nuclear weapons make the world a more dangerous place, they certainly make it a more humbling one, and their spread only narrows the options of the world's sole superpower. Drake Bennett is the staff writer for Ideas. Email drbennett@globe.com.